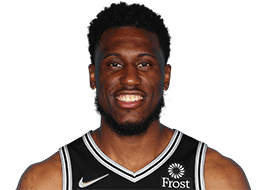 THE FLATS – Thaddeus Young has gotten hot and so have the Indiana Pacers, who have won five straight and moved up to third place in the Eastern Conference … That and more in this edition of the Georgia Tech #ProJackets Basketball Report. Young, who had struggled with his jump shot early in the season, is over 51 percent from the floor now and is averaging 12.1 points per game for the season as his Indiana Pacers team has climbed into third place, just two games behind Eastern Conference leaders Milwaukee and Toronto. He scored a team-high 21 points to lead a balanced attack as the Pacers ran past Atlanta right after Christmas, then followed that with a solid 17-point effort in a win over Detroit two nights later. He has shot 56.7 percent from the floor during Indiana’s winning streak. Iman Shumpert continues to earn praise as a valuable leader for the Sacramento Kings, who are in ninth place at 19-18 in the Western Conference. He matched his career high with six threes as he scored 18 points to lead the Kings to a 117-116 comeback victory over the Los Angeles Lakers on Dec. 27. 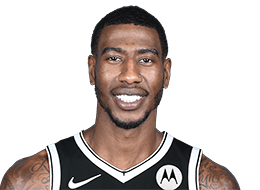 At 28, Shumpert is the elder statesman of a Sacramento Kings team that includes 19-year-old rookie and former Duke player Marvin Bagley III. He is averaging 9.6 points and hitting 38.9 percent of his threes this season. 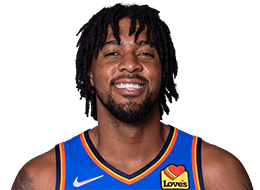 Derrick Favors has spent some time this season coming off the bench but has continued to play consistently well, shooting 60 percent from the floor while averaging 11.2 points and 7.1 rebounds per game. Always one to go about his business without fanfare, he has had to deal with trade rumors as the Utah Jazz were reportedly interested in Chicago forward Jabari Parker. Favors scored 21 points (8-12 FG) with nine rebounds in the Jazz’ most recent game against Toronto Tuesday night. 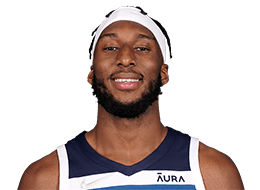 Though Josh Okogie continues to impress friend and foe alike with his energy and performances on the nights he gets an extended opportunity to play, the 20th pick in the 2019 draft continues to move in and out of the Minnesota rotation. He has played in the Timberwolves last 13 games, sometimes for less than 10 minutes, six times for more than 20. In games he has played more than 10 minutes, Okogie has always been on the plus side of the plus/minus rating. He has posted one double-figure game in the last 13 and is averaging 6.5 points for the season. 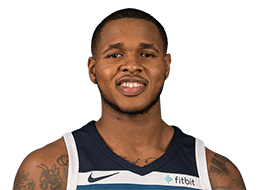 CBSSports.com reported before Christmas that Marcus Georges-Hunt underwent knee surgery and would miss extended playing time for the Maine Red Claws in the G League, though there has been very little reported about it. Georges-Hunt had averaged 13.1 points, 4.6 rebounds and 1.7 steals over 36 minutes per game in nine games for the Red Claws.